Pressure vessels and process tanks have to meet high safety requirements. Continuous monitoring of the differential pressure plays a major role in minimizing the risks from hazards such as excess pressure, leaks or dust-explosive substances. VEGABAR series 80 pressure transmitters have proven to be very effective for this task. And the method is simple: just put two of them together. Thanks to innovative technology, two of these pressure gauges can be quickly transformed into a perfect electronic differential pressure system. Two sensors of the VEGABAR series 80 determine the process pressure with the help of two measured values: the tank pressure and the total pressure resulting from the pressure of the medium and the overpressure. The user can simply take a pressure transmitter from stock, order another identical sensor with electronics version “slave” and have an electronic differential pressure system up and running in a jiffy. As opposed to conventional differential pressure systems, electronic differential pressure measurement with VEGABAR series 80 is not affected by the ambient temperature or strong vibration. 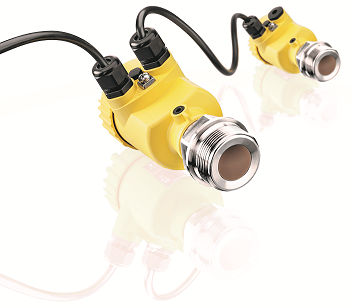 And it has another impressive feature: in the version with oil-free ceramic CERTEC® measuring cell, the pressure transmitter is completely resistant to temperature shocks. In fact, this extremely high overload resistance factor of 200 can be found nowhere else on the market. Its simple operation based on the proven instrument platform plics® and optional “second line of defense” make it the ideal solution for differential pressure measurement. The process pressure transmitter VEGABAR 82 with oil-free, ceramic-capacitive CERTEC® measuring cell. Its most outstanding features are high abrasion and overload resistance as well as self-monitoring of the measuring cell.